Skylake will be Intel's Sixth Generation processor architecture. 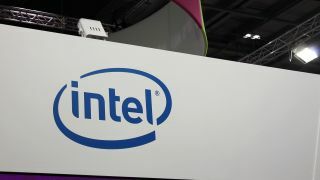 Intel will have three different mobile chips – Y-Series, U-Series and H-Series – as well as the desktop-class S-Series for this generation. The leaked slides show that Skylake brings at least an 11% processor improvement across the board, and graphics performance will increase between 16% and 41% compared to Broadwell's integrated Intel HD Graphics. Not only will mobile workers be able to get better computing performance, you'll also be able to work longer on a single laptop or tablet charge. Skylake is anticipated to deliver a 30% increase in battery life, and Intel is claiming 1.4 hours longer battery life in its Y- and U-Series processors. Intel's current U-Series processors are used in many mainstream Ultrabooks. The current U-Series Broadwell-based Intel Core i3, i5 and i7 processors are the CPUs found in systems like the Dell XPS 13, Acer Aspire S7 and Asus ZenBook UX301. Broadwell's biggest improvement over the prior Fourth Generation Haswell chip is better battery life. The H-Series family deliver more power than the U-Series, and the chipset is expected to arrive in the next Apple MacBook Pro, which comes with Intel's improved Iris graphics. The Y-Series processors use a fanless design, and are optimized for tablets. This could give a boost to the two-in-one convertible market, and current fanless notebooks can also benefit from the performance gains. Fanless notebooks on the market today include the Intel Core M-powered HP EliteBook Folio 1020 G1, Lenovo Yoga 3 Pro, Asus Transformer Book T300 Chi and the Apple MacBook. According to Windows Central, Skylake is anticipated to arrive in Microsoft's Surface Pro 4, with the site claiming that the next-generation flagship tablet could arrive in October. Skylake is also expected to launch in this timeframe, and Intel previously confirmed that the chip will arrive in the second half of this year. We previously reported that Skylake could arrive as early as August, which is the time that Intel will host its IDF developer conference. Additionally, new memory improvements could lead to a 50% increase in 3D gaming performance compared to Broadwell, so it means you'll also be able to get a better gaming experience on your downtime. Even though the performance claims look promising, a lot could still change between now and when Skylake officially launches. These slides are taken from third-party site Fanless Tech, so the information should be taken with caution as the information hasn't been confirmed by Intel. Skylake was shown off in a few mini PC systems from Asus earlier this summer at Computex. Skylake will also come with improved camera support. The leaked slides indicate that Skylake will support a 4K camera, four full-HD cameras or Intel's RealSense 3D camera. Native support for RealSense 3D could mean that we'll see more devices supporting Windows Hello's biometric security. In addition to using a fingerprint, Windows Hello's facial scanning and recognition feature requires Intel's camera, which is harder to trick than a traditional webcam. Consumers can use face recognition to log into Windows 10 in lieu of a password or PIN. Read our review of the desktop-class Intel Core i7 Broadwell CPU.